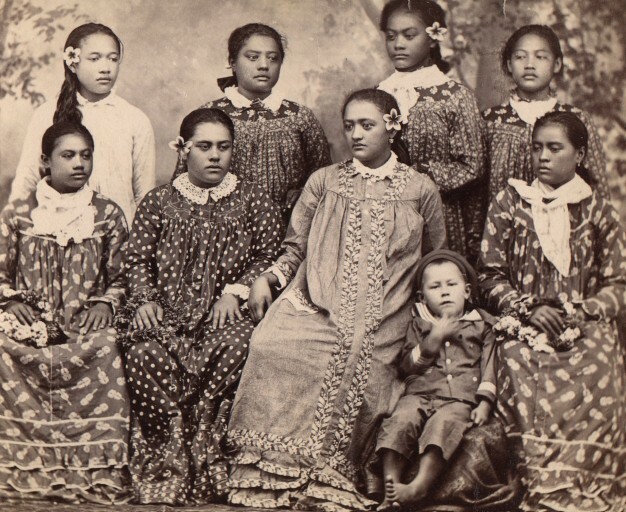 Holoku is a long Hawaiian dress usually with a yoke. This loose fitting dress, now considered historical fashion, with a high neck and long-sleeves was first introduced by missionaries to cover as much skin as possible. The loose fitting cotton makes them cool in the warm climate and always cheery.